The UK has launched a new research and innovation hub to help fight plastic pollution in the marine environment. This new hub will bring scientific and technical experts together from other Commonwealth countries to share their views and ideas on sustainable alternatives to plastic. The UK will play a leading role in designing and running this hub and will also encourage other countries to move towards clean growth through the Government’s Industrial Strategy. UK Prime Minister Theresa May has said that the UK will contribute £25 million to the framework during the Commonwealth Heads of Government Meeting in London. Unilever and Waitrose are two of the companies financially supporting this hub, with Unilever pledging £5 million in research, and Waitrose committing £0.5 million. 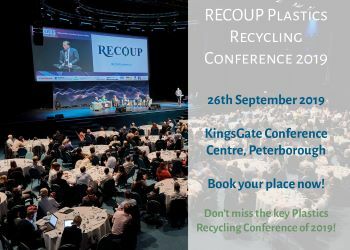 Support for the new framework has been given by The British Plastics Federation, the Ellen MacArthur Foundation, RPC Group and Mott MacDonald. All have provided access to their facilities, networks and expertise. UK Energy and Clean Growth Minister Claire Perry said: “With our funding, matched by research being developed by nations throughout the Commonwealth, this £50 million Framework will help develop options for alternative uses to prevent plastics from ending up in our seas. Unilever chief executive officer Paul Polman said: “It is critical that governments, businesses and others from across the Commonwealth work in partnership to step away from our take-make-dispose model of consumption. Next articleEaster impacts on UK non-food retail sales – will arisings be lower?